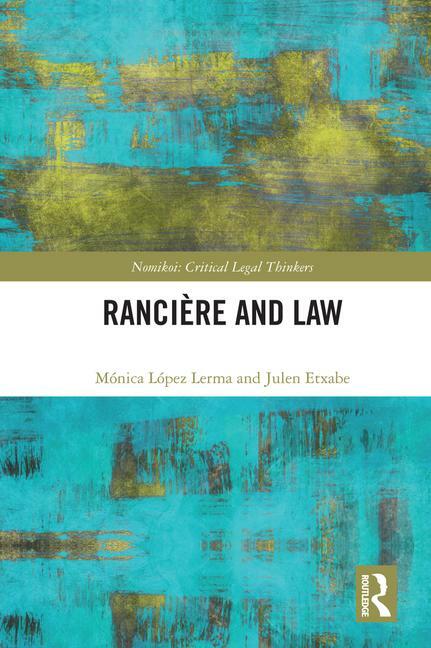 The volume “Rancière and Law” edited by Mónica López Lerma and Julen Etxabe collects a set of approaches to think about law and legal problems via the work of Jacques Rancière. Rather than bringing together his explicit statements on law, they try to transfer his way(s) of thinking to the field of legal theory. Here special attention is drawn to Rancière’s differentiation of police, as a certain fixed order, and politics, as acts disrupting this order. Without placing law on one of these sides singularly, its ambiguous state between these opposing strands is delineated in various attempts, ranging from case studies in the history of ideas to the field of aesthetics. Thus, the volume originally sheds a light on legal problems and inner conflicts developed through a Rancièrean lens. Kaufmann, Hannes. 2018. „Rechtliche Störungen. Recht Als Mittel Des Streits Und/Oder Der Streitbeilegung“?. KULT_online, Nr. 54 (April). https://doi.org/10.22029/ko.2018.194.